Gelato Vs. Ice Cream: What Are The Differences? If you’ve been trying to figure out how gelato and ice cream are different, you will love finding out how they are the same and in what ways they aren’t. 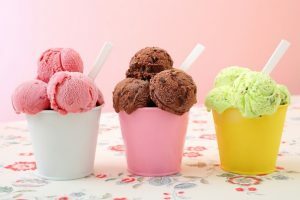 While they are both cold, sweet treats, ice cream and gelato are prepared very differently and that contributes to the way they differ from one another. Here are the major differences, each of which will help you decide if you’re eating gelato or ice cream. 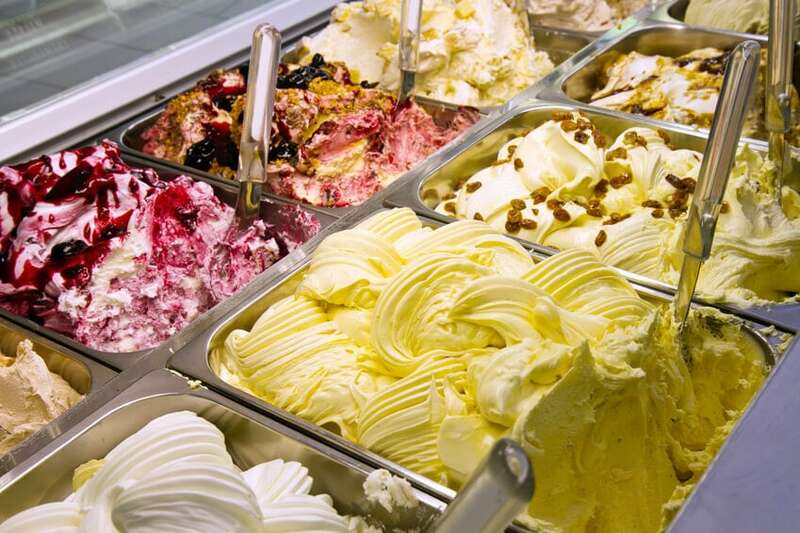 Below are some of the key differences between gelato and ice cream. Ice cream is traditionally fluffier and contains more air than gelato, which is denser when it’s finished. This is because ice cream is churned at a very high speed, which incorporates a lot of air into the ice cream, giving it a higher volume. Gelato is churned much slower, which keeps some of the air out of the product, making it heavier and less fluffy. Ice cream makers often use churning to make their product lighter, which allows them to sell a smaller amount, even if it does fill up the container. Traditionally, ice cream is served in scoops at a very cold temperature. 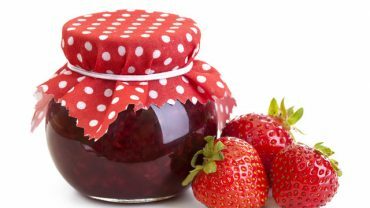 It’s usually dished up in cups or on cones and melts quickly in warm temperatures. Gelato is typically sold at a warmer temperature, but it doesn’t melt as quickly because it’s denser and can withstand warm air temps as you eat it. There are tons of flavours when it comes to both but there are still differences between gelato and ice cream here too. Because of the higher cream and egg content in ice cream, it takes more flavouring to let the taste shine. 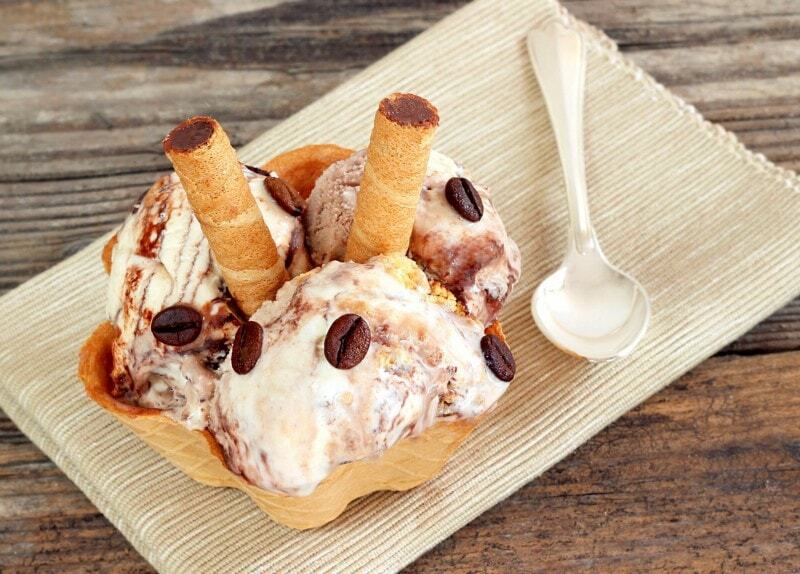 Gelato uses less of those two ingredients, which makes the flavour more intense when you scoop it up. Many people report that gelato has a stronger taste than ice cream, even if they are flavoured with the same ingredients. Some gelato experts suggest eating it at the shop where you buy it and not taking it home and putting it into the freezer. This is because the denser texture of gelato means it freezes very hard in standard freezers, which makes it unpalatable and difficult to eat. Ice cream, however, makes a great treat to enjoy at home because the air that is churned into it helps keep it soft. While how gelato and ice cream are different aren’t hugely variable, those small preparation techniques and ingredients make them very different. Chances are you, just like everyone else, has a favourite. Below, the comparison between gelato and ice cream is shown in a Gelato vs Ice Cream table.